Pikachu and the other Pokémon were at the beach, when a weakened Wynaut approaches them. It tells them that its friends were attacked by Meowth and the other Team Rocket Pokémon, as well as an Exploud and a Hariyama, because Meowth wanted to take over their playground, which resides on a nearby island. 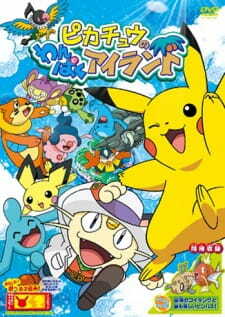 After hearing Wynaut's story, Pikachu and the others decide to help them take back their playground, and begin to train them, so that they can rescue their island from the clutches of Meowth.